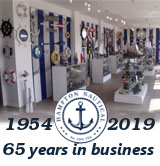 Evolving from sundials and hourglasses, mechanical nautical clocks came to dominate timepieces, which only in recent history have been supplanted by modern digital versions. Prior to the nautical clock the hourglass was the only reliable means of telling time at sea because it could be hung like a lantern and the ship’s movement would not affect it. Though no one knows with any degree of certainty when the first hourglasses were created, sometime in ancient history, the first mechanical nautical clocks appeared around the 12th century AD. It wasn’t until the 15th century, however, that constructing mechanical nautical clocks truly came into its own. By the mid-17th century clock making had advanced dramatically with the pendulum clock, though this model was not any use at sea as a ship’s movement would negate the pendulum’s effectiveness. 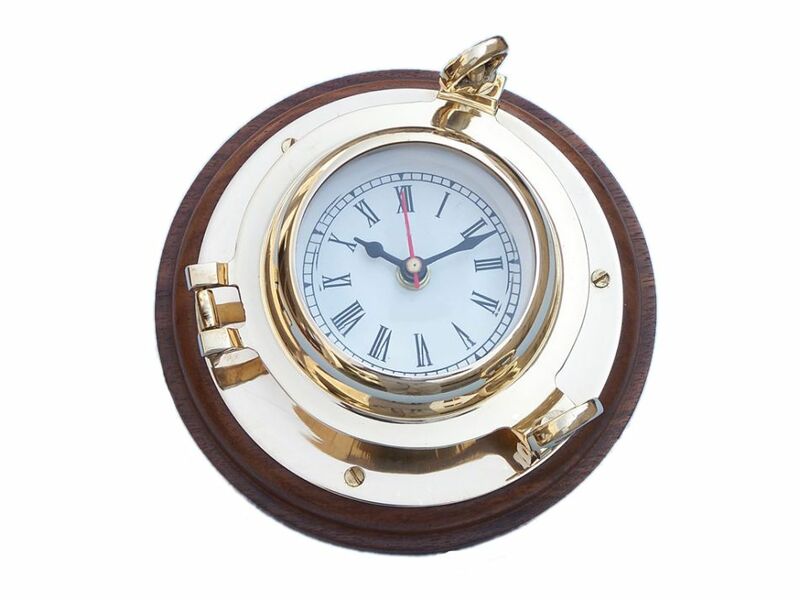 By the next century, and the start of the Industrial Revolution, it finally became possible to manufacture the brass wall clock, and sailing began to adopt a new form of telling time.